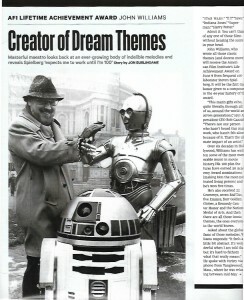 Make no mistake, it is always an honor to be asked to write about composer John Williams. I never take it for granted. So it was a distinct pleasure to be asked to write the program notes for the Los Angeles Philharmonic’s January 2019 concerts celebrating the famed film composer (and even greater fun to attend, as conductor Gustavo Dudamel, an unabashed Williams fan, conducted the entire program at Disney Hall). Deutsche Grammophon, which recorded all four nights, then asked me for an essay commemorating Williams’ long history with the Philharmonic for a two-CD set. Along the way I got to mention all of the repertoire played so brilliantly (a greatest-hits selection that ranged from Close Encounters and E.T. to Harry Potter and Jurassic Park). 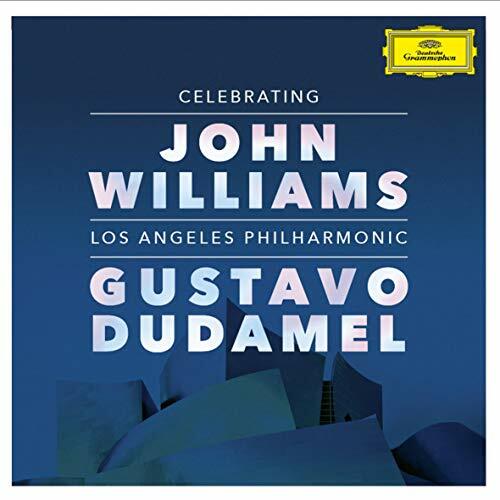 This entry was posted in Composers, Film Music and tagged Celebrating John Williams, Deutsche Grammophon, Gustavo Dudamel, John Williams, Los Angeles Philharmonic, Williams and Dudamel on March 23, 2019 by Jon Burlingame. 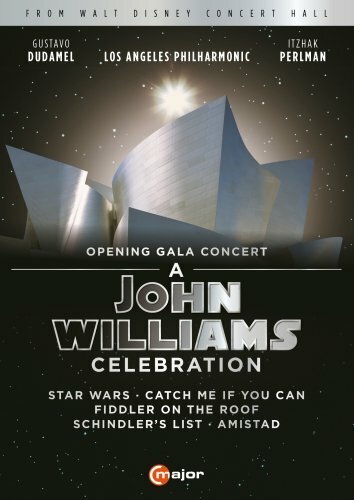 I wrote the program notes for last fall’s Los Angeles Philharmonic opening night concert and gala — “A John Williams Celebration,” as it was called, with Gustavo Dudamel conducting and Itzhak Perlman as violin soloist. It was a wonderful mix of John’s concert music (“Soundings,” written for the opening of Disney Hall), his film music (Schindler’s List, Catch Me If You Can, Star Wars, Jaws, Amistad, etc.) and his Olympic themes. I’m delighted that C Major, which has produced this 103-minute DVD and Blu-Ray of the evening, has chosen to include my notes, which include comments from both Williams and frequent collaborator George Lucas. This entry was posted in Composers, Film Music and tagged C Major Entertainment, Gustavo Dudamel, John Williams, Los Angeles Philharmonic on June 22, 2015 by Jon Burlingame.